Escape Entertainment team up with StudioCanal to bring you a King Of Thieves Inspired escape room. Ever been stuck in a room with an hour to break into a locked vault? No? Well neither had I until last night when I took part in Escape Entertainment’s brand new escape room and collaboration with StudioCanal’s King Of Thieves. For anyone who is unaware of King Of Thieves, the film is based on the incredible true story of The Hatton Garden Heist, when back in 2015, a group of older crooks managed to break into one of the most secure bank deposits in London and run away with over £200 million. It is amazing that these experienced old timers were able to pull off such a heist, and judging by mine and my teams struggles last night, we wouldn’t make good criminals…which I guess is a good thing? The Escape Entertainment escape room saw us head into a bank deposit room with various hidden clues and 1 hour for us to break into the vault whilst the security guard was on his break. It’s simple, if you can successfully decipher the clues then you walk away with the money and the Crown Jewels. It’s tough, stressful and requires you to think outside the box all the time but it is so much fun! 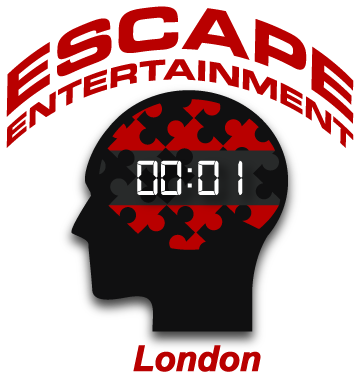 The Escape Entertainment crew are also on board to help you out with any clues you’re struggling with, which as it turns out, was pretty much every one in our team! I couldn’t recommend the Escape Entertainment King Of Thieves more. For fans of escape rooms, it’s fun and challenging and for fans of the film, it makes you feel as though you’re part of Michael Caine’s crew, so happy days all around! The Escape Entertainment inspired by King Of Thieves is open for one night only on Friday 25th January. Each game is private for 2-6 players and tickets are priced at £26pp. If this sounds like something you’d be up for then head to https://ldn.escape-entertainment.com/ and best of luck getting out of the vault. Believe me, you’ll need it! You can also now buy King Of Thieves starring Michael Caine, Jim Broadbent and Ray Winstone on Blu-Ray, DVD and Digital Download now. For those who haven’t seen the film, check out the trailer below.